While Bern enjoys its reputation as the political heartland of Switzerland, the privileged title has been known to detract from the de facto capital’s newfound entrepreneurial streak and its abundance of growing opportunities for both resident and visiting businesses. 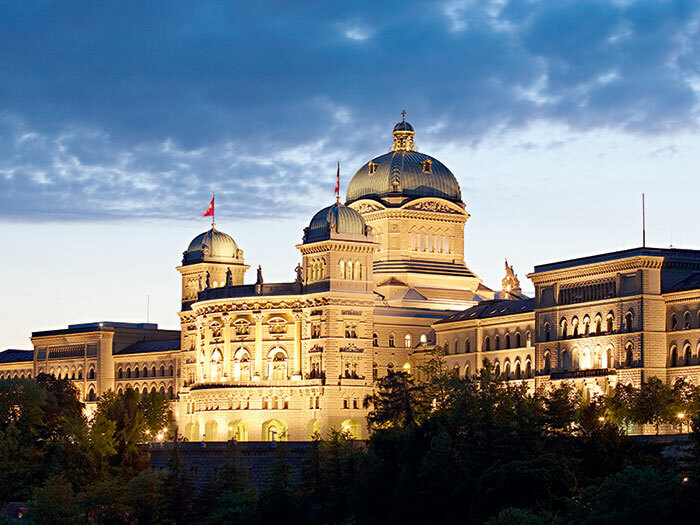 Aside from the credentials that accompany its political significance, Bern is home to a collection of renowned industry leaders and the University of Bern, which itself plays host to eight faculties, eight graduate schools and close to 160 individual institutes. However, far from being a paradise for business leaders alone, the city has many sites of cultural and historical significance for all visitors to enjoy. 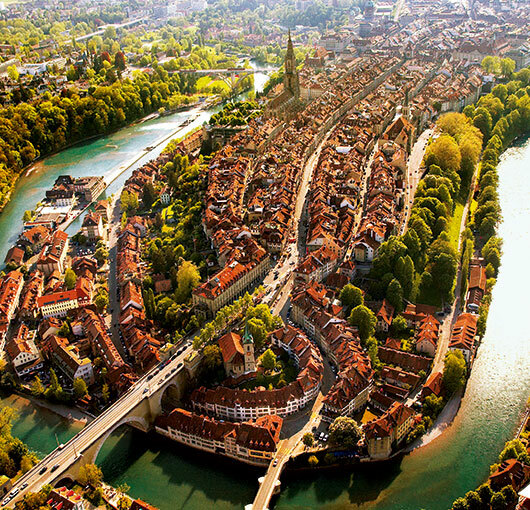 Arguably no other major city in the world has retained its historic charm to quite the same degree as Bern. The city has preserved this allure while at the same time satisfying a burgeoning and ever-evolving corporate segment, with its unique cultural sites and distinctive conference facilities offering an increasing appeal that is seeing the city fast emerging as a major European hub for travelling corporate clients. Established in 1191, Bern’s historic Old Town – arguably the city’s most recognisable landmark – is one of Switzerland’s most treasured UNESCO World Heritage sites, alongside the Three Castles of Bellinzona, Monte San Giorgio and the Rhaetian Railway. The Old Town is bordered by the Aare River and offers spectacular views of the Alps. Another of Bern’s famous landmarks is its Zytglogge – its historical astronomical clock tower, which has had a key role in Bern daily life since 1530. Elsewhere, the House of Parliament and cathedral offer visitors a glimpse in the city’s cultural and political significance. Lesser-known sites include Einstein House, where the famous physicist lived with his wife and son from 1903-1905; well over 100 beautiful fountains, 11 of which retain their original stonework tableaus; the botanic garden; and the city’s BearPark. What makes the city truly unique, however, is its ability to combine the old with the new. While the historical and modern sides of the city appear to be worlds apart, Bern’s public transport system – which is free to use for anyone staying in the city – and the short distances between its countless meeting venues, hotels and restaurants bring the Old and New Towns together seamlessly. What’s more, with such a wealth of culture, leisure and business credentials to its name, Bern stands far apart from most other European cities as an attractive business destination. 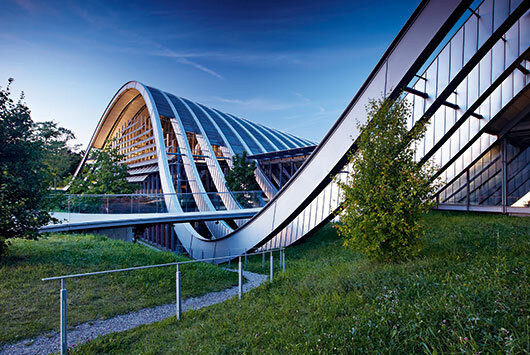 For those looking to host a meeting or conference, the venues in Bern are many and varied in both style and scope. Ranging from the extravagant to the intimate, each unique location boasts a number of attractive features. Kursaal Bern was recently renovated, with the completion of extensive construction works in 2013 placing the centre firmly as the city’s most up-to-date venue. Elsewhere, the Stade de Suisse boasts an impressive range of facilities, while the BERNEXPO centre is a more conventional choice for large expositions. The Zentrum Paul Klee, Kornhauskeller and Bierhübeli venues are ideal for those looking for somewhere slightly more unusual. Hosts seeking to steer clear of more formal meetings by arranging corporate teambuilding exercises should look no further than Bern’s array of exciting activities, such as the scooter city tour, river rafting and traditional Swiss farm games. Furthermore, Bern’s central location makes it an ideal hub for those looking to explore the rest of Switzerland during their stay – whether for an excursion to Lake Geneva, or a trip to the Emmental Valley. Bern has long enjoyed its distinction as Switzerland’s political capital, which has earned it a reputation as the continent’s constitutional heartland. The emergence of new conference venues and an influx of leading names, however, serves to illustrate just how rapidly the city is gaining momentum on the business travel circuit.